Alpari UK is one of the few global brokers authorised and regulated by the Financial Conduct Authority (FCA) currently offering binary options. Our number one focus is to ensure that we continually evolve and enhance our consumer offering. 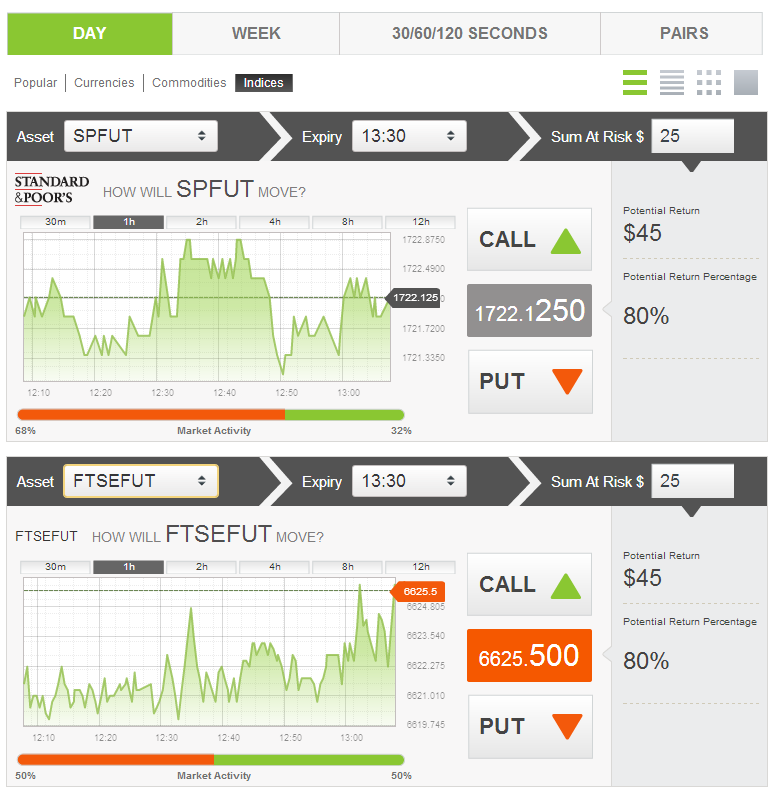 Binary options are the latest addition to our product portfolio and follow on from other recent product launches in 2013 such as our social trading product TraderConnect and VPS. Traders follow only three steps. Firstly, they choose the financial market (asset) they would like to trade; then they select how long the trade will last (from a variety of timeframes such as 30 seconds, 60 seconds, end of day, end of week and up to one year); and finally they select the amount they would like to trade. With an Alpari UK binary options account you have a choice of 16 currency pairs, 24 indices indices and 10 commodities. The minimum deposit for an options account is 100 units of your favourite currency, unless you're a fan of the Yen in which case you'll need 10,000 of them. The first obvious question to ask at this juncture is how Alpari intend to compete with IG here in the UK. The second obvious question is how can you turn even a modest profit using binary options? I'll let you know if I discover the answers to one or both questions! What Are Alpari's Forex Options Down Under? We have taken the strategic decision to stop offering binary options due to regulatory considerations. As a result we will no longer be offering binary options from Monday, 10 February 2014.